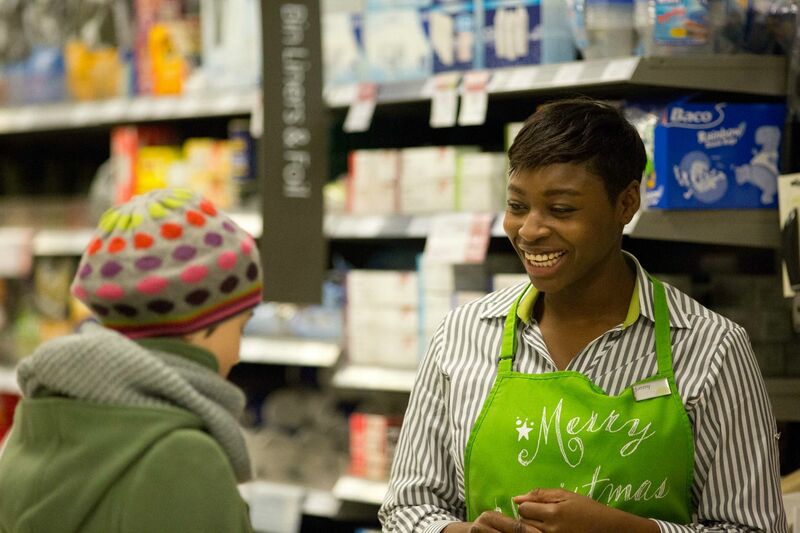 In 2014, Waitrose decided to do something a little bit unusual for Christmas. 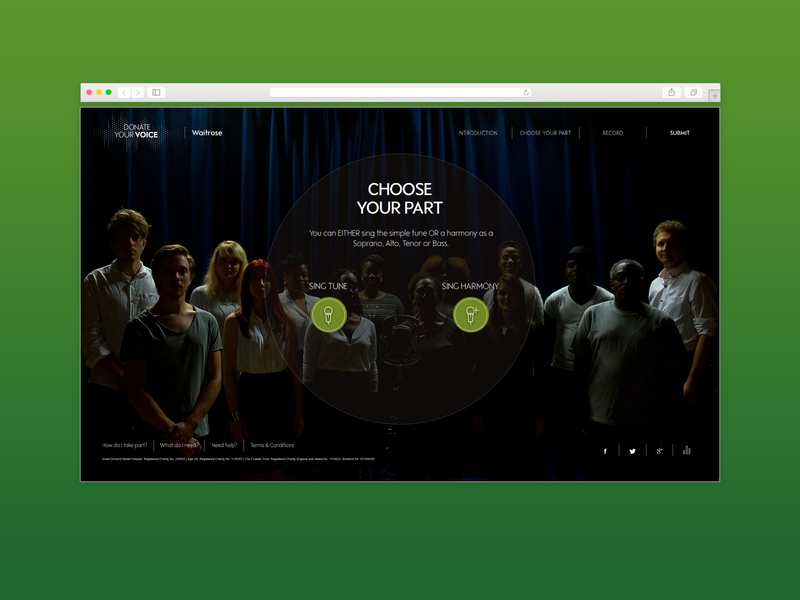 Between 18-28 October, the supermarket ran an online campaign urging members of the public to form a virtual choir and sing the soundtrack for its Christmas advert, and in doing so, help to fundraise for three special causes by creating a charity single. 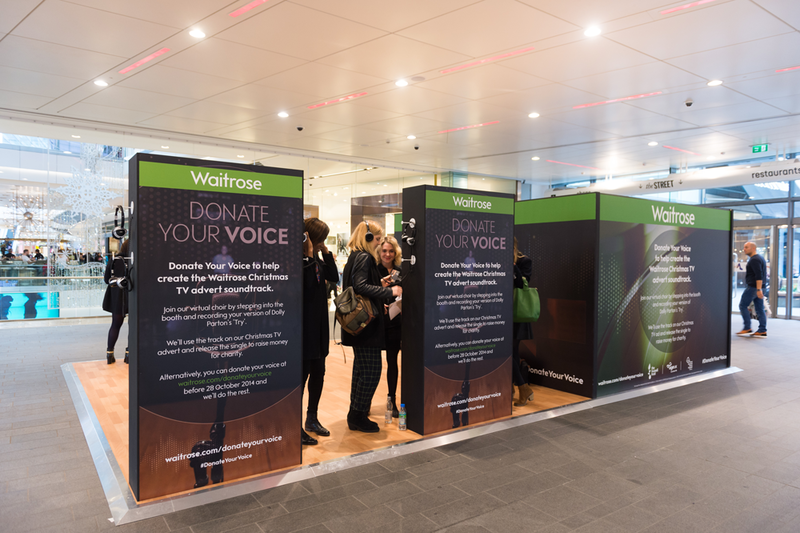 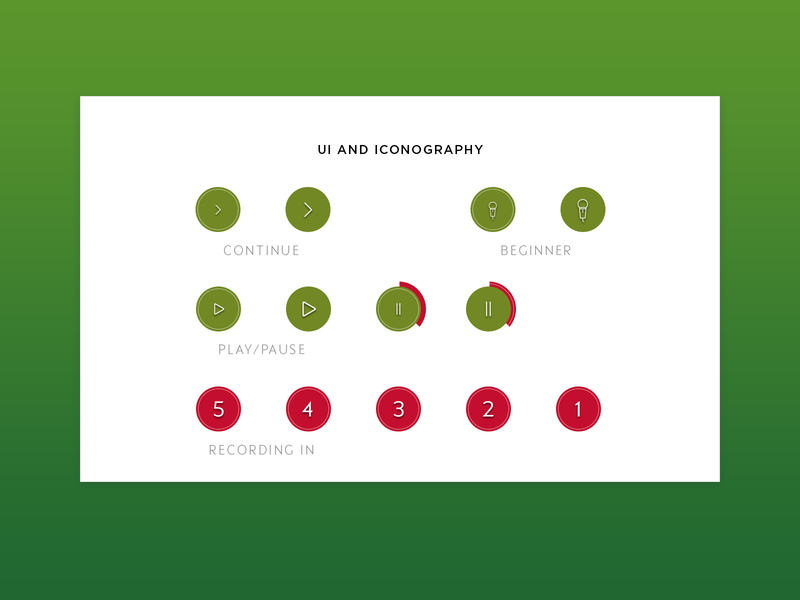 The public are being asked to visit the Waitrose ‘Donate Your Voice’ to record and upload their own rendition of Dolly Parton’s song ‘Try’, in an engaging and immersive studio experience. 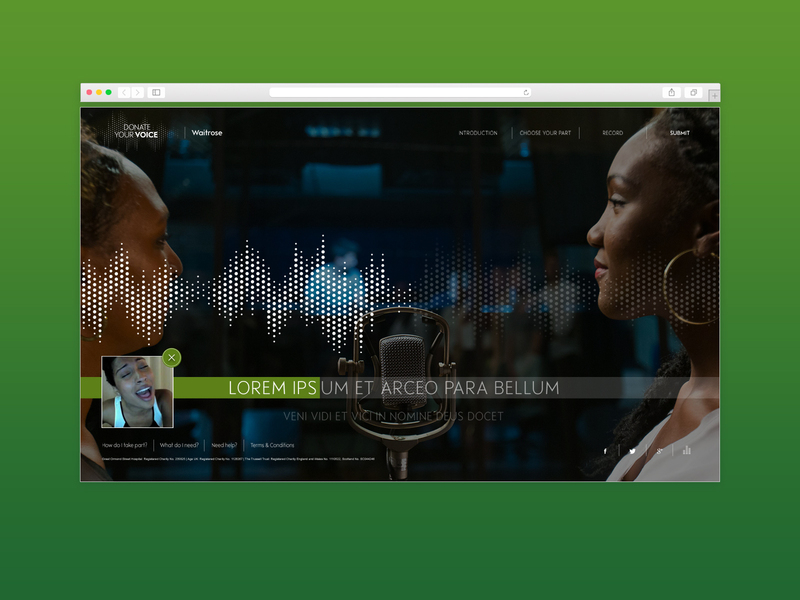 In an advertising first, renowned music producer, David Kosten, then mixed the recordings to create a virtual choir. 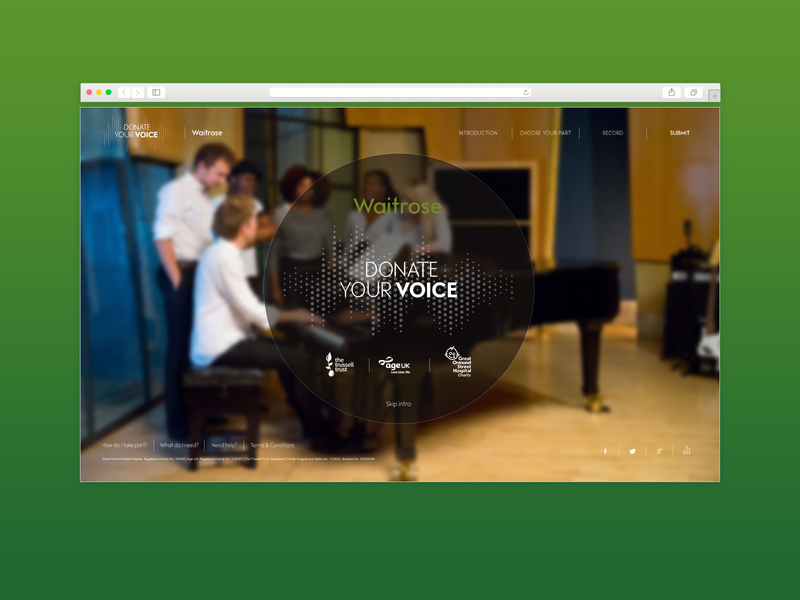 The choral version of the song, made up of the public’s voices, has then been used as the soundtrack for the Waitrose Christmas TV advert. 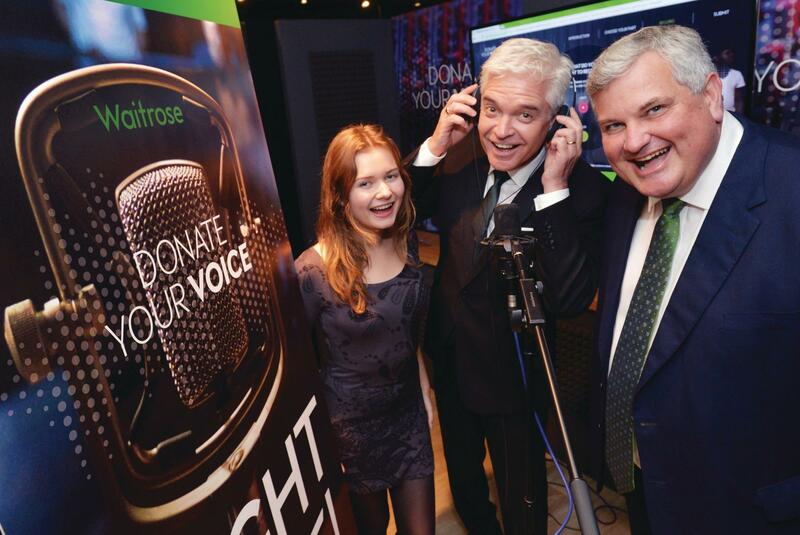 The song was also available to download as a single with 100% of the profits going to charity. 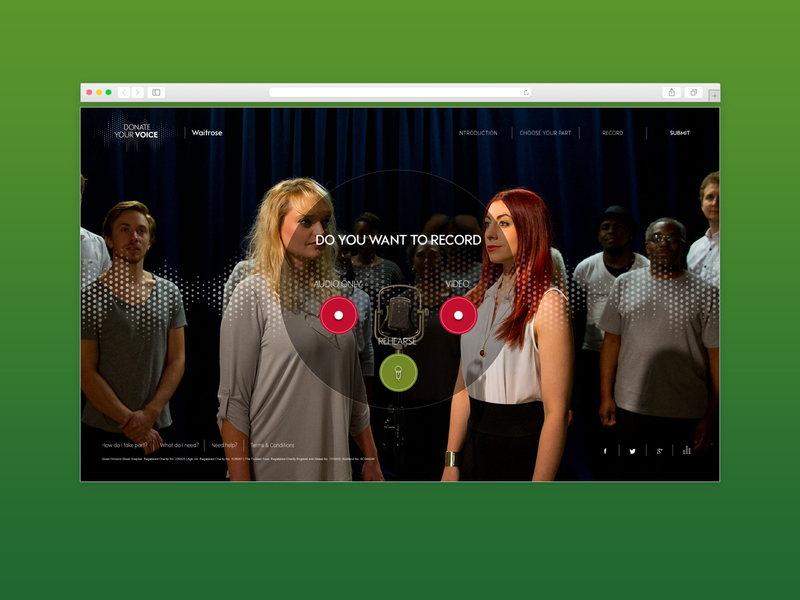 Not only could people record themselves singing the song on the dedicated website but we worked together with ClinkClink and Fuse to create a physical representation of the online experience to boost awareness of the promotion. 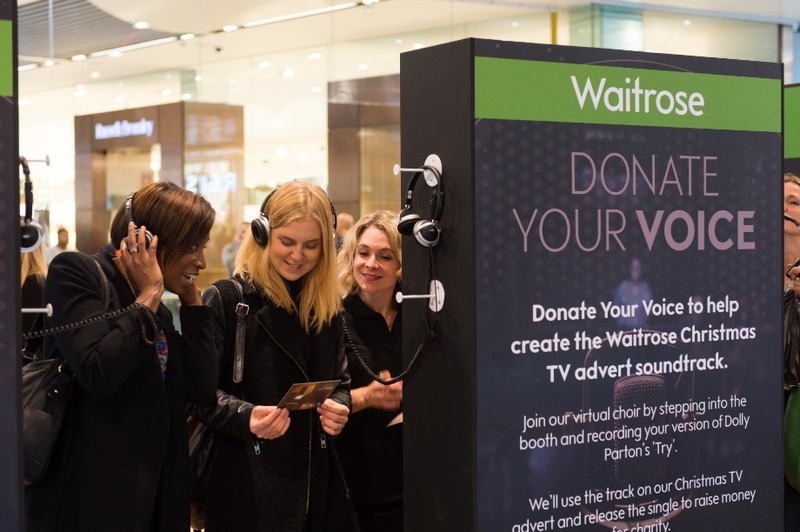 The nine by five-and-half-metre experiential space at London’s Westfield Stratford shopping centre featured headphones, microphones and a mini professional recording studio. 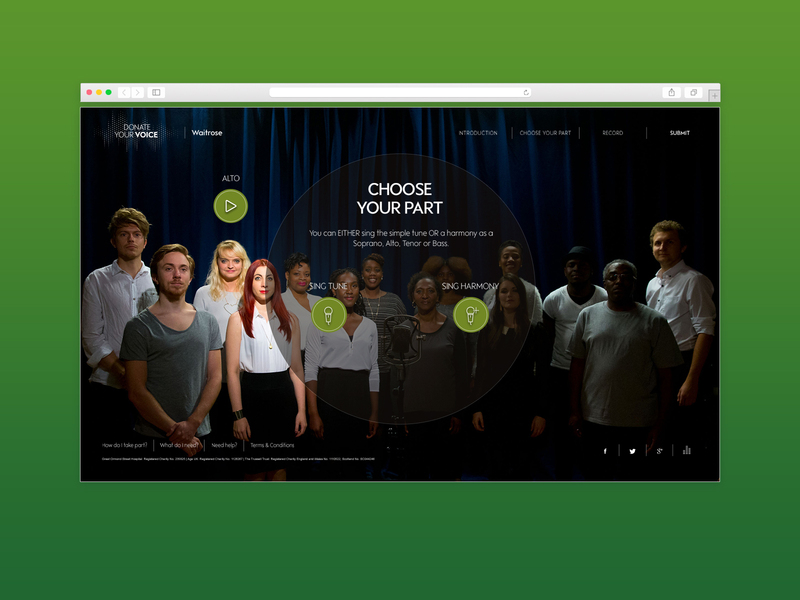 Professional singers and voice coaches were on-hand to provide expert tips to the amateur singers, who were asked to perform a rendition of the song by Dolly Parton. 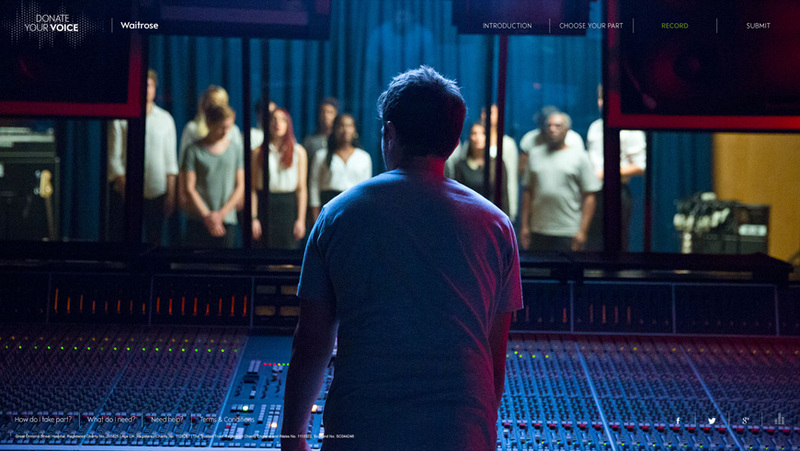 The live recordings have been electronically mixed with online submissions to produce a final track. 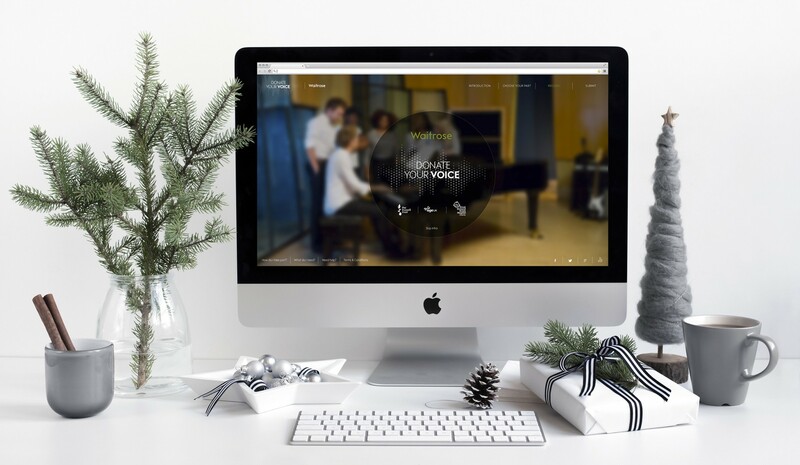 The resulting song is the background music for the hotly anticipated Christmas advert and is also being released as a single, with 100% of all profits donated by Waitrose to Great Ormond Street Hospital Children’s Charity, Age UK and The Trusell Trust. 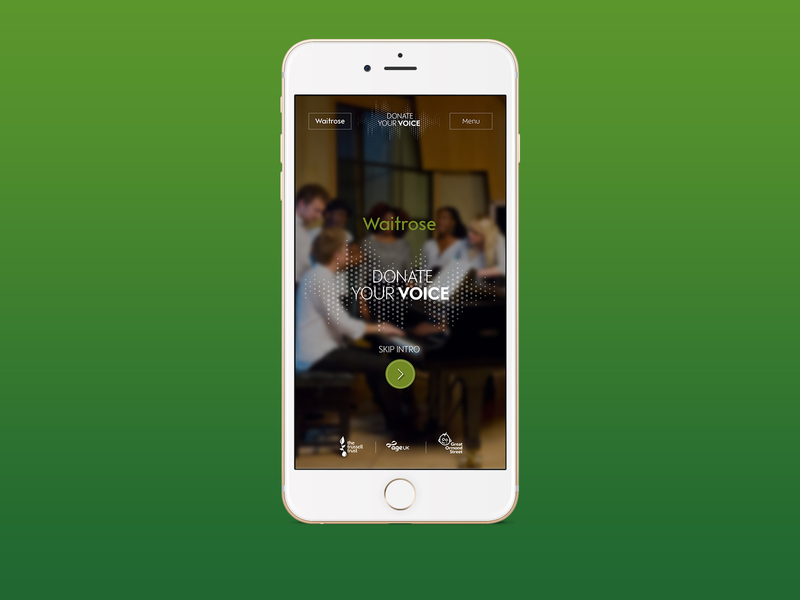 The Telegraph, Marketing Magazine, Ad Forum, The Drum, Creativity Online, Best Ads on TV.